It is all to play for in both Fed Cup semi-finals after Katerina Siniakova drew Czech Republic level against the United States and Switzerland pegged Belarus back on Saturday. Coco Vandeweghe coasted to a 6-1 6-4 victory over Marketa Vondrousova in the opening rubber at Saddlebrook Resort in Florida. Australian Open semi-finalist Vandeweghe was a cut above the world number 117, breaking five times in a one-sided encounter to edge the 17-time champions in front. Siniakova hit back, seeing off Shelby Rogers 6-3 6-3 to level the tie and keep the Czechs firmly in the hunt for a sixth title in seven years. 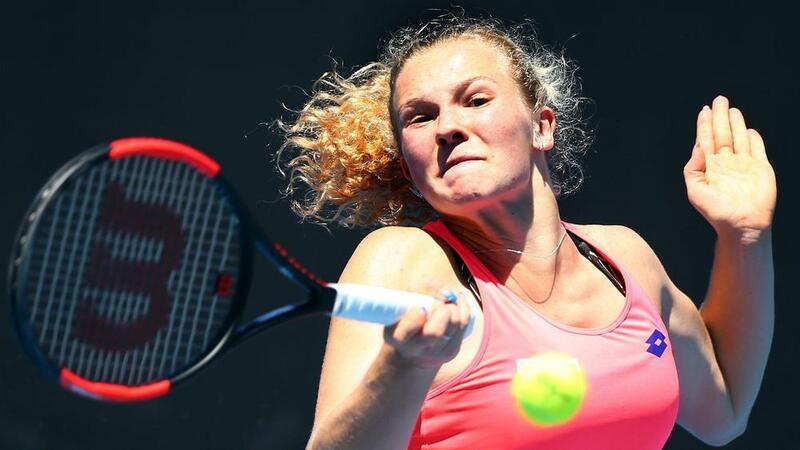 A double fault put Rogers out of her misery, ensuring Siniakova could celebrate a victory on debut in a live singles rubber and will look to follow that up by putting the Czechs 2-1 up when she faces Vandeweghe on Sunday. Aliaksandra Sasnovich struck the first blow for Belarus in Minsk, defeating Viktorija Golubic in straight sets. The Belarus number one won 6-3 5-7 7-5 at Chizhovka Arena after serving eight aces and taking half of her 16 break-point opportunities. Timea Bacsinszky levelled for the Swiss, getting the better of 18-year-old Aryna Sabalenka 6-4 7-5 to leave the tie well poised.